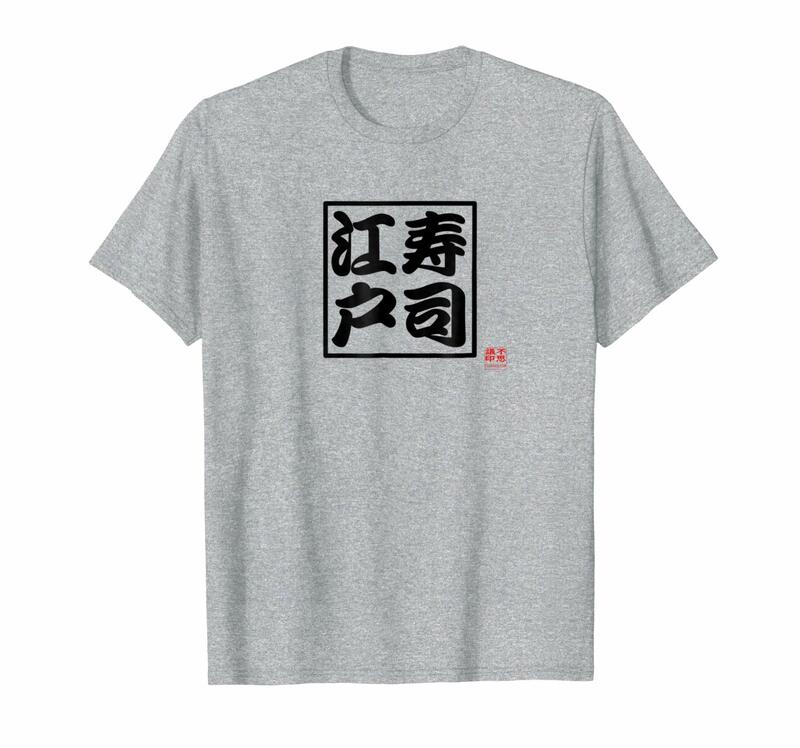 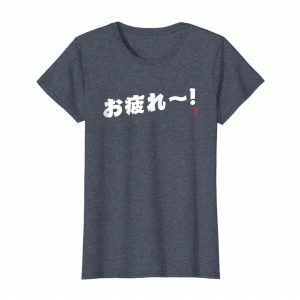 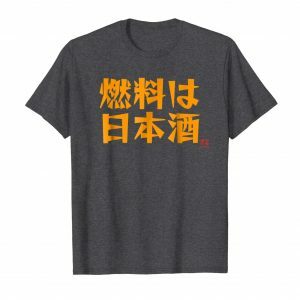 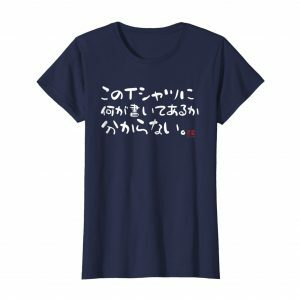 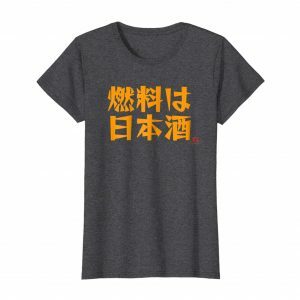 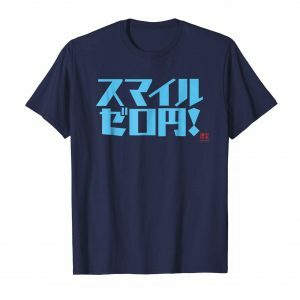 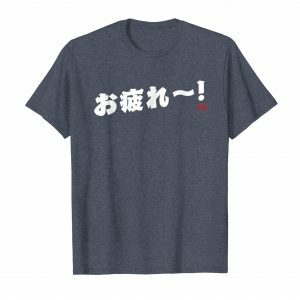 This cool Japanese kanji shirt celebrates the origin of sushi, which was first invented in the Edo period and was known as Edo-style sushi in Tokyo. 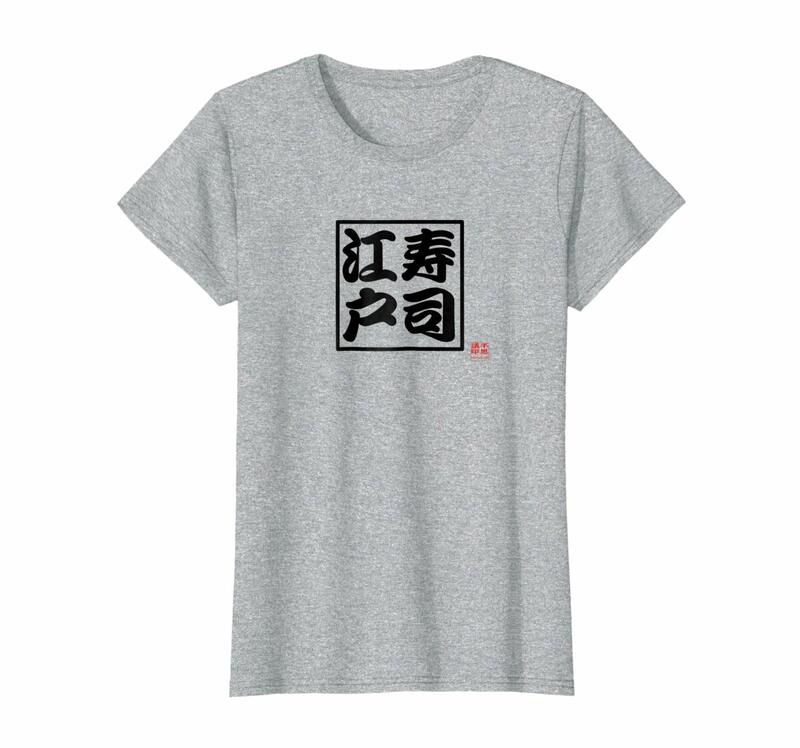 The kanji on this shirt say “Edo sushi” and are written in a style of old Japanese calligraphy. COLORS: White, Baby Blue, Lemon, Heather Grey, Heather Blue.